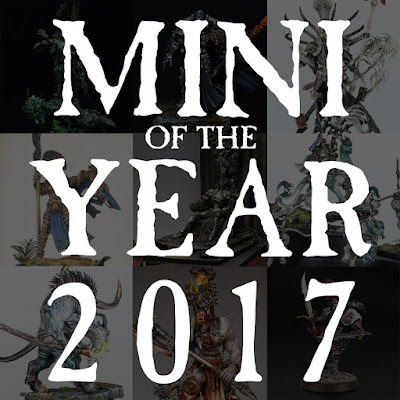 It's been another full year of Mini of the Week entries, which can only mean one thing, it's time to vote for the Mini of the Year from 2017! I went through all 52 of the entries from the past year and picked the top 10 most viewed. These were the 10 that you, the reader, decided you liked the most just by virtue of how popular it was. Now it's your chance to pick which one of these 10 deserves the top spot of Mini of the Year. Take a look at all of the entries below then vote for your favorite at the bottom. 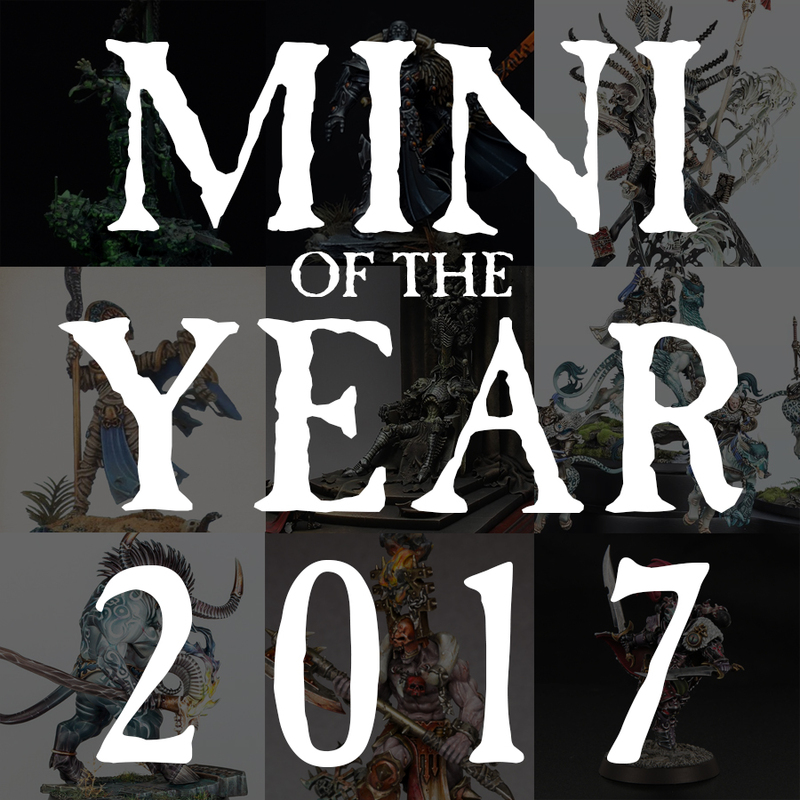 Next Friday I will reveal which one is taking home the honor of being everyone's favorite mini from 2017! Mathew Kane is no stranger to the Mini of the Week, with one of his Ultramarines nearly winning Mini of the Year for 2016. 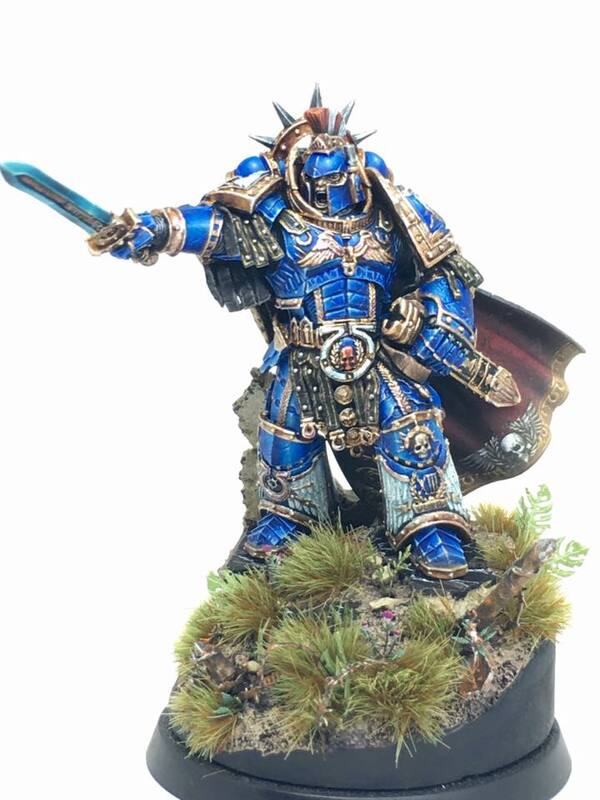 He's back again with a completely stunning rendition of the Ultramarines Primarch. The conversions on this are extremely subtle and fit right in with the existing look of the model, which to me are the best type of conversions. This looks like it could have been an alternate version of the model straight from Forge World. The inclusion of an open faced, spartan style helmet really helps tie Guilliman into his Greco-Roman roots. It also has the benefit of making him look more war ready while still letting you see his face. Even more subtle, his leg has been slightly repositioned, which meant a lot of resculpting. 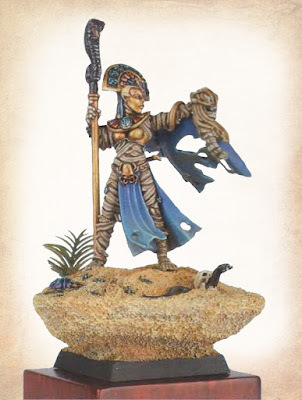 This Khalida is one of my all time favorite models I have seen, period, and luckily I got to see it in person. This stunning conversion took home the third place trophy in Warhammer Single Miniature at the 2013 US Golden Demons, actually beating me out for the spot, but it definitely deserved it. 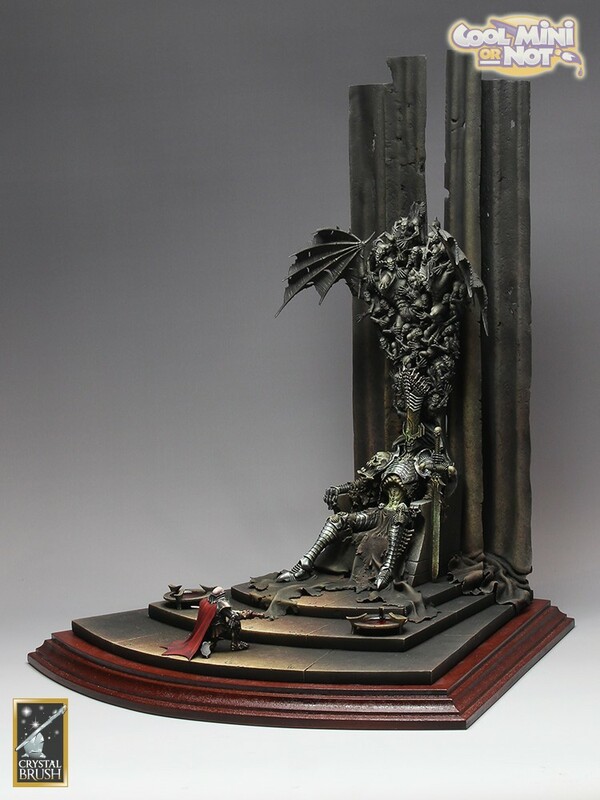 In fact, I remember thinking that this was going to be the first place trophy when I first saw it. Everything about it is perfect. The conversion is instantly recognizable as Khalida at a glance, but updates the model with a much more dynamic pose. 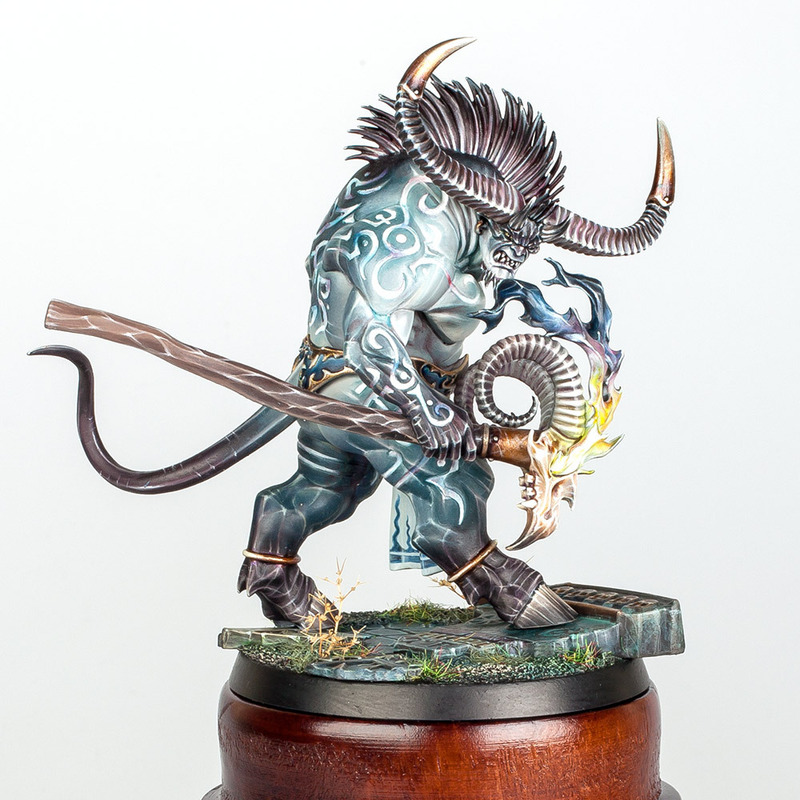 Today we have another stunning Golden Demon winning model, or in this case, models. The first time I saw these I was amazed, and I still am. 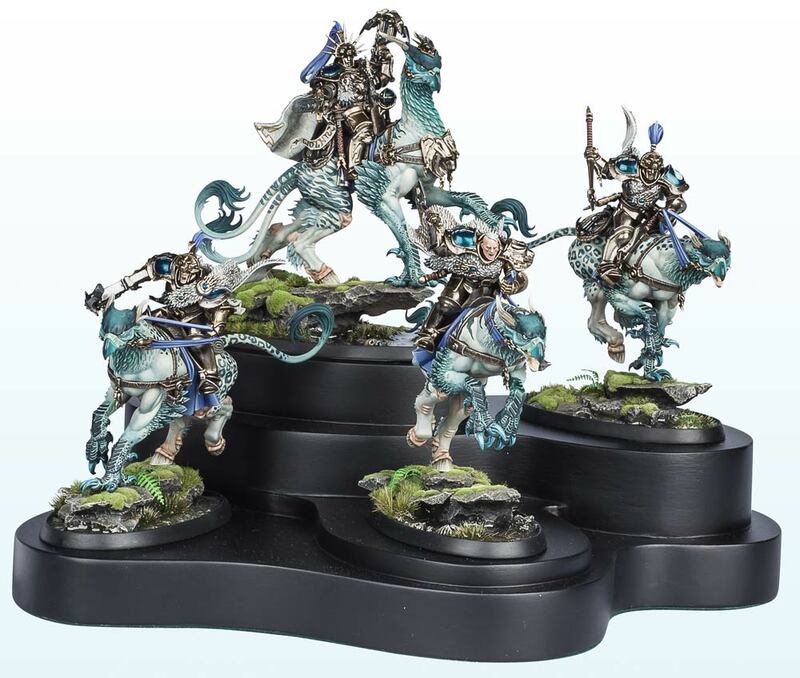 The color choice is wonderful, with the more muted colors giving these fantastical beasts a more realistic look. I also just really like the blues and turquoises with the pale and creamy white. The animal patterns on them are a great touch as well. The basing is also suitably realistic looking, with a cool mossy, forest floor feel to them. It's Tzaanuary and I figured what better way to celebrate then a Tzeentchian Mini of the Week. This amazing model was the gold winning entry from the Monsters category of the Age of Sigmar Golden Demons and I would say it definitely deserved that trophy. All of the highlights are insanely crisp and the blends are perfect. I think the thing that really makes this model stand out for me though are the color choices. I love how they have managed to blend from a brownish purple through a grey blue to almost pure white. It's intense, magical looking, and at the same time somehow grounded in reality. Nagash is a model that has been done well many times since the model was first released, but there are always new interpretations of him coming out that still blow me away. 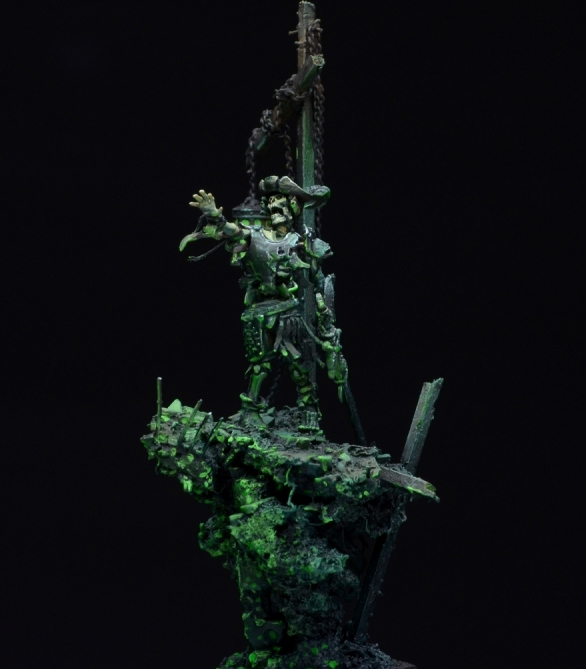 This Nagash which won gold at the 2014 Golden Demons for large Warhammer models is one of those amazing versions. I love the color choices used on him. Everything has a slightly sickly, rotten green tinge to it which really just adds to the air of unease and dread that Nagash should inspire. 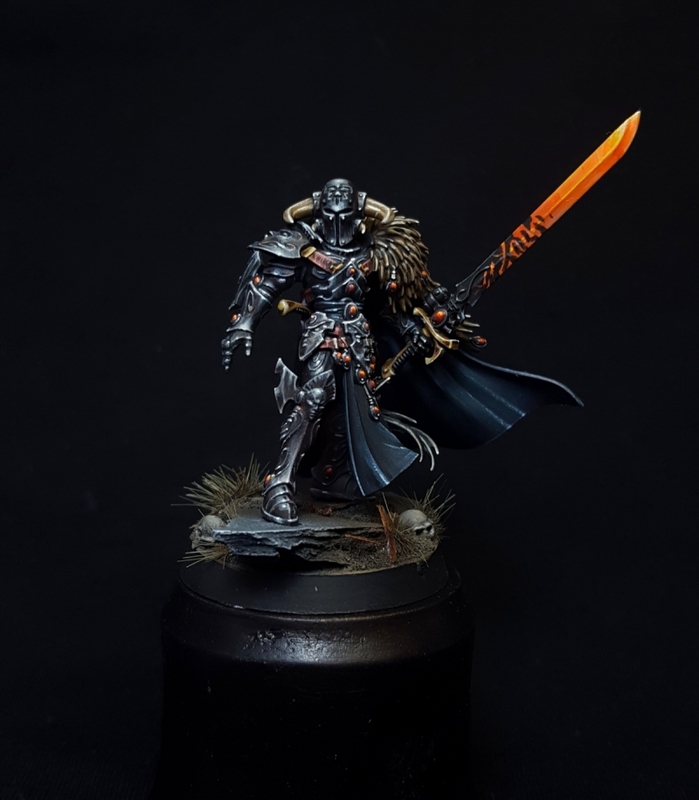 What other model could the Mini of the Week be today besides this fantastic entry from Crystal Brush. Everything about the model is absolutely perfect! The amount of conversion that went into making Nagash seem natural in that pose, as well as the kneeling vampire is astounding. That's before we even get to the chair back! I love how seamlessly he has been able to blend all of the ghouls and Varghiests together to look like a truly creepy sculpture. I just love how they are all trying to hold each other down. Definitely has a very Gates of Hell feel to them. The tattered fabric of Nagash's robes spilling out from the chair is spot on as well, and the heavy, moldy drapes behind him really add to the feel of rotting elegance. Sometimes it's the simplest of changes that make a model. 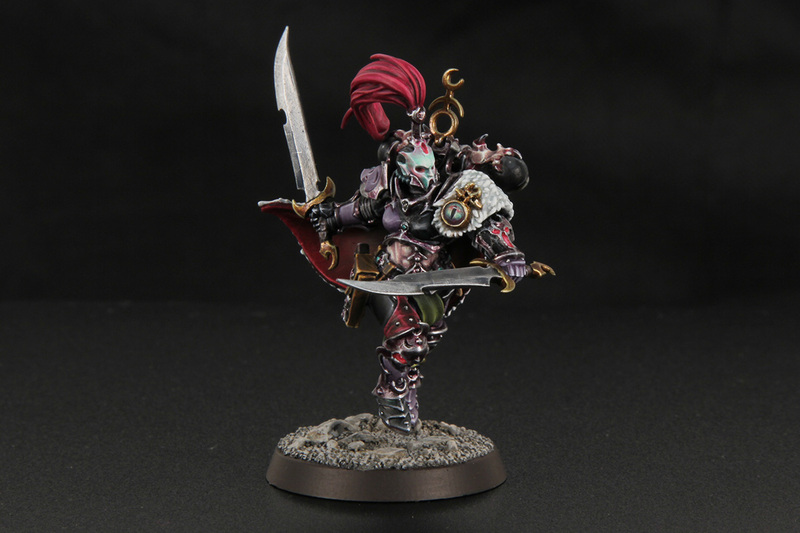 This is just a simple head swap of one of the new Aeldari models with a Chaos head, but it really changes the model. The mini was already pretty dark and imposing, but the addition of the Chaos element really emphasizes that and brings it to the fore. 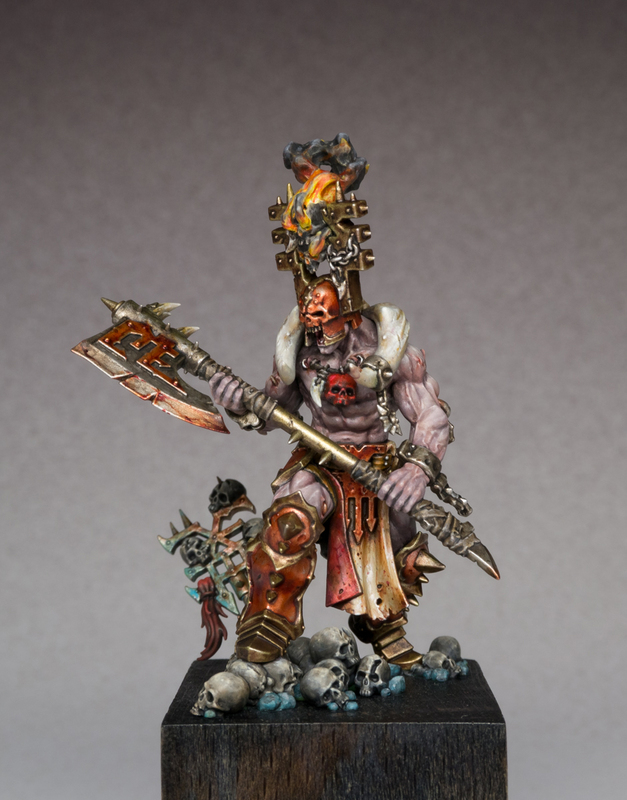 It's also interesting to see a Chaos warrior who looks so refined and cultures, with just a touch of the barbaric. 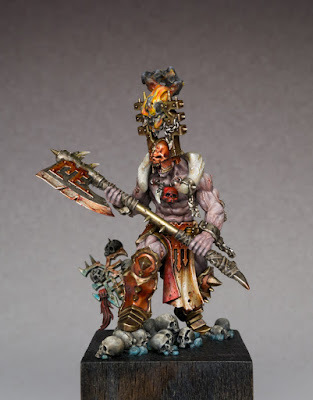 Personally, I would liked to have seen the model pushed a little further conversion wise, with a new weapon and maybe one or two other additions, but it's still very cool looking as is. The atmosphere this guy exudes is fantastic. When I think of Mordheim I immediately think of a sickly green glow which has been captured perfectly here. The model itself is a conversion and partially scratch sculpted which pays off with a truly unique look. I love the awkward gait and tattered armor. The feathered hat definitely anchors it in the old world. The great thing about extensive conversion like this for undead models is it really lets you build in the layer, hollow look a walking skeleton would probably have. You can actually physically have the space empty between its ribcage and the breast plate.